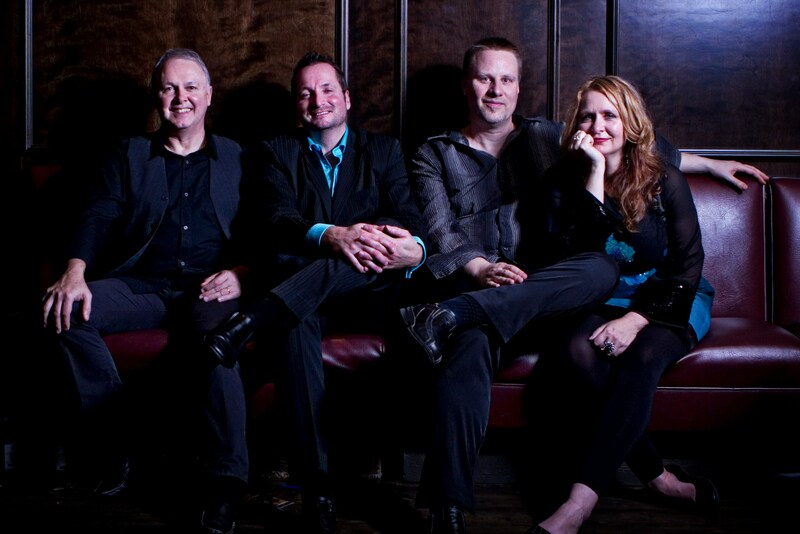 Bradley/McGillivray is a Vancouver-based musical partnership that has spanned 20 years. 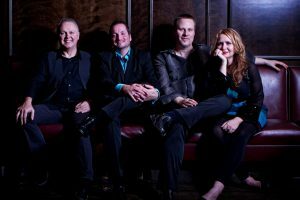 Led by groove, improv and raw, unadulterated emotion, they blend blues, jazz, funk and gospel into their own hip brand of soul. 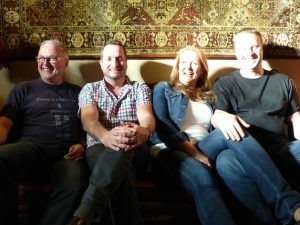 Ruth McGillivray is a singer you won’t forget–captivating, authentic and entertaining, with a wicked set of pipes. Her knock-you-flat vocals are the perfect complement to Sheldon Bradley’s tastefully diverse guitar. From growling slide to uptown jazz, it only takes minutes to realize there’s not much the guy can’t play. Their whole sound is rounded out by an inventive rhythm section featuring bassist Paul Freeman, and drummer Hoto Parker. The band’s debut CD, River of Soul, was released in September 2003 and featured their first collection of original material. It received critical acclaim, 4-star reviews, and a nomination in the Jazz/Blues category of the Shai Awards. Their second CD, Livin’ This Way, was released in 2008. Produced in Vancouver, B.C. by award-winning producer Bill Buckingham, Living’ This Way features nine original tunes, a unique, signature version of Tennessee Waltz, and an interpretation of Piece of My Heart of which Tom Harrison of the Vancouver Province said Ruth “makes the song her own”. 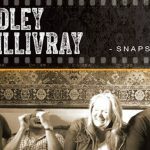 Both Canadian Musician and Real Blues Magazine cited Livin’ This Way as “one of the best Canadian blues albums of 2008.” Their third album, Snapshot, featuring blues, funk and soul classics peppered with Bradley/McGillivray signature twists, was released in 2017. They are currently working on a fourth CD called Echoes of Etta, featuring the music and influences of Etta James. 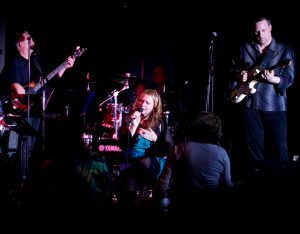 The music and performance power of Etta James had a profound effect on Ruth McGillivray as a young singer. Ruth always says that Etta taught her how to sing. Not in person, but through a live bootleg recording worn out through obsessive repeats. There was something special in the way she poured her soul into song–a reckless abandon–that has guided Ruth’s whole career. 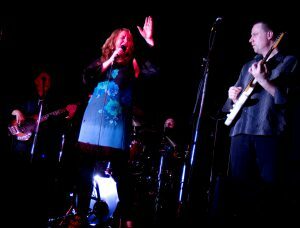 Echoes of Etta isn’t your typical tribute show. 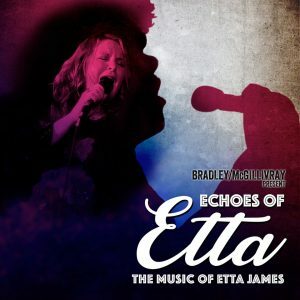 Bradley/McGillivray find and interpret the spirit of Etta through their own, unique interpretations of her music and influences. Ruth has researched Etta’s life and weaves stories throughout the show, connecting them to the songs she loved and the ones that made her famous. The show honours a unique talent that shone through a difficult life, and the formidable strength that kept her performing from the heart for over 60 years.